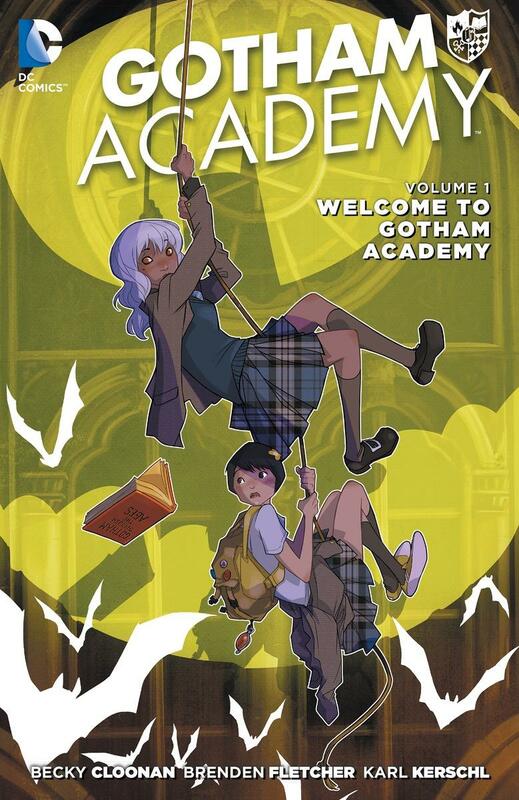 Welcome to Gotham Academy, the most prestigious boarding school in Gotham city . . . Oh that across the street? Uh, well, that’s Arkham Asylum. It’s fine really! Olive Silverlock had a rough summer. Now that the school year has started Olive, has been drafted to play “nanny” for the new kid, Mia. Mia just so happens to be the kid sister of Olive’s ex-boyfriend. If that wasn’t enough, something mysterious is going on in the north hall, and Mia wants to investigate! I love this series. It has some of the silver age silliness that is missing in a lot of modern comics. Don’t get me wrong, I like The Killing Joke too, but there is something to be said for the light hearted fun of the silver era. This series is a peek at life in Gotham for the regular citizens. They live in a world where Batman fighting the Joker outside their school, means that gym will be held inside. This is a great first comic book to dip your toe in with. If you have never read a comic before, this feels like the Scooby-Doo mysteries you watched as a little kid. and the tone is a lot like Batman: The Brave and the Bold cartoon show. I recommend this book to readers who enjoy Scooby-Doo and the Bone books. A lot of the fun for me was the little winks to classic Batman stories. Little things like the girls calling the dorm mother “Aunt Harriett,” is hilarious if you get the joke.